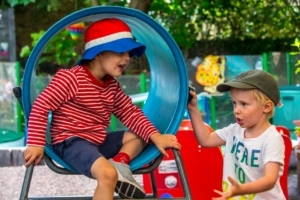 Our annual Open Day is by invite only and is a chance for families with children currently attending Chelsea Open Air and those due to start the following year to spend a fun filled day of learning at the school. Our annual Open Day is an opportunity for children, parents, carers, staff, governors and visitors to learn together and join in with a range of activities, sharing experiences together. 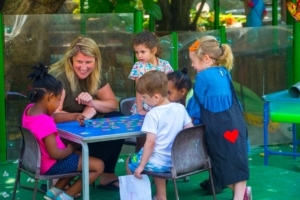 Each year there is a variety of exciting workshops to participate in throughout the day such as, poetry with Phillip Wells ‘The Fire Poet’,Mosaic making, Soca Dancing , the Mobile Zoo and Sensory Story Times. There are also fundraising stalls such as tombola, face painting and a cake sale as well as information stalls. One of the traditions of the day is the international lunch which is provided by the parents for the adults, we ask parents to prepare a dish from their home country to share and enjoy together. The grand finale is the raffle which is traditionally organised by the parents. 2018 is the year of our 90th Birthday, therefore this year’s Open Day was a very special one. Thank you to all the families and friends, old and new who helped us to celebrate. Here’s to 90 more years!